Denny Lile got his first big break in 1987, when a Waylon Jennings cover of his song “Fallin’ Out” became a top 10 country hit. Unfortunately, though, that first break also proved to be Lile’s last, because by then, he had already begun the descent into alcoholism that would ruin his career and marriage and lead to his death in 1995, at age 44. 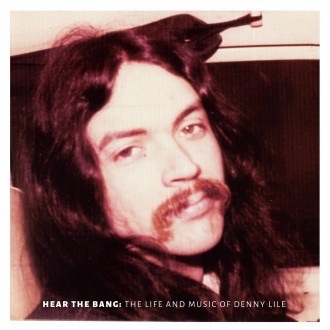 An attempt to garner for the singer/songwriter the recognition that he never received in his lifetime, Hear the Bang: The Life and Music of Denny Lile combines a CD of music that he recorded at age 21 with a feature-length DVD documentary. The former suggests that while he may not have quite been the musical genius that the latter occasionally proclaims him to be, he deserved much more success than he enjoyed. The best of this expertly crafted 16-song country-rock collection sounds like a mix of the finer elements of Mickey Newbury, Jim Croce and Poco. Highlights like the plaintive title cut and the upbeat “Sugar Daddy” are as indelible as anything those more famous artists produced.